After the subprime mortgage housing crises in 2009, the government began to aggressively target and prosecute home buyers, mortgage companies, title companies and escrow agents. 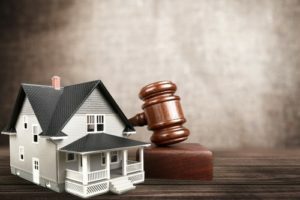 Criminal charges involving real estate transactions and contracts are serious offenses that can leave an individual or professional feeling as though he or she has minimal options for protection. Whether you walk free or face a serious conviction, rely on the level of effectiveness and competency of your defense attorney. At the Law Offices of Seth Kretzer, we are known in Dallas, Houston, and throughout Texas for our legal abilities in the area of federal criminal defense law. Seth Kretzer has more than a decade of experience advocating for clients facing felony offenses, including real estate fraud, mortgage fraud and federal tax crimes. If you lose your job or your expected bonus gets cut after you filled out a home loan application, the government can say you committed the offense of lying on a financial document. Round-Robin trades: If you buy from or sell a home or other piece of property to someone you know, the government can allege that the purchase was a fraud to artificially inflate the value of that asset. “Pump and dump” schemes: If you buy an asset and then sell it for a profit and the government thinks is “just too quick,” the government can allege that you defrauded the buyer. Loan application fraud: Any misstatement of income on a financial document. Straw buyer real estate issues: If you stand between one buyer or seller of real estate and another, the government can allege that you are a “straw buyer” who was only there to defraud one of these two parties. All criminal matters have a sense of urgency and require the attention of a knowledgeable attorney. If you are charged with a serious white collar crime involving real estate fraud, embezzlement, money laundering or another serious offense, our team will take initiative on your behalf. The comprehensive, collaborative approach that our firm takes in defending clients will enhance your odds of defeating or at least mitigating the government’s charges. We invite you to contact the Law Offices of Seth Kretzer at 713-775-3050“>713-775-3050 when you need an experienced and reliable real estate fraud defense lawyer based in Houston.